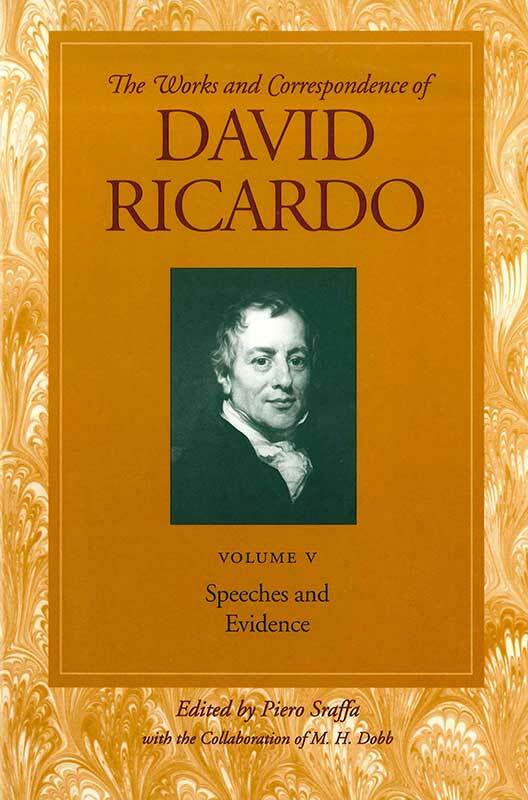 Speeches and Evidence contains the texts of Ricardo’s numerous speeches. It consists of his speeches given in the House of Commons and evidentiary advocacies before Parliamentary committees. The introduction provides insightful context to the circumstances and events that preceded Ricardo’s appointment as a Member of Parliament and describes his subsequent influence and role on various committees. List of speeches, prefatory note, introduction to speeches in Parliament, appendixes, index of persons in Volume V.